“I recognize that there were times decades ago when I may have made some women uncomfortable by making advances,” the network chief admitted. 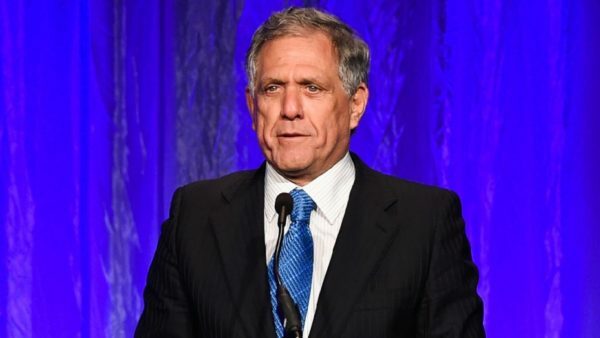 Leslie Moonves, CBS’ longtime CEO and one of Hollywood’s most powerful executives, is accused of sexual misconduct by multiple women over the course of several decades in a bombshell new investigation published by Ronan Farrow in The New Yorker on Friday. On-the-record accusers in the story include actress Illeana Douglas, writer Janet Jones, producer Christine Peters and writer Dinah Kirgo. Others also spoke out about the corporate culture at CBS and CBS News. Douglas describes an incident in which Moonves allegedly tried to kiss her and grab her. “What it feels like to have someone hold you down — you can’t breathe, you can’t move,” Douglas told Farrow, recalling an incident in the late 1990s. “The physicality of it was horrendous.” Among others, the actress told Martin Scorsese about the incident, and the director told the magazine that he had heard about the story. I know nothing about Moonves and frankly do not care about the man but I am very curious about one interesting thing. How is it some High Profile Entertainment Males that have come under allegations seem to escape the “Me Too” Movement and others lose their Career totally. Moonves May be Guilty and he may not be guilty. Then once again we must ask why it takes/took 10, 20, 30, or more years for Accusers to come forward. And just what Magic Elixr does Journalist Farrow have in His Bag of Tricks that acts like “Truth Serum” that all of a sudden triggers “Total Recall” ? I just do not get it. Moonves for one seems to have acknowledged some wrong doing but it appears the Media seem to be giving him a pass. It appears it might/could be the Shareholder Directors that weild the Axe rather than any other method to cause his departure. If the Directors do not choose to jettison him I am quite sure he will escape any retribution, perhaps a mild discipline at best. It is a real puzzle to me why some come away with minor damage and some will end up in Prison. I suppose it will only be a few months before an ‘Investigative”Journalist comes our with a Case by Case, Blow by Blow Expose’ and Analysis On all of the “Me Too” Cases, it will be a Best Seller.